Girls on the Run Southern Utah (GotRSU) is proud to announce an expansion to its already successful program. Beginning September 19th, GotRSU will offer its Heart & Sole program at two intermediate schools in Washington County. 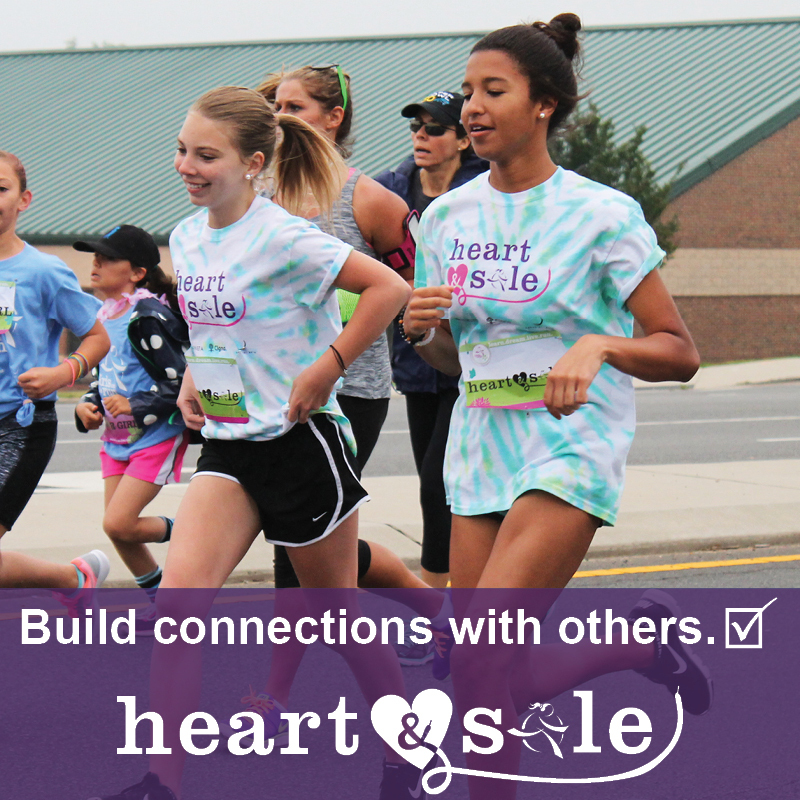 As part of the Girls on the Run program, Heart & Sole is a physical activity-based positive youth development program that inspires middle school girls to be joyful, healthy and confident. The program uses fun running games, dynamic discussions and personal reflection to teach valuable life skills including standing up for yourself and others, creating supportive relationships, developing healthy support systems, boundary setting, asking for and providing help, and decision making tools. At the end of the ten-week program, girls are physically and emotionally prepared to complete a 5k event. “Heart & Sole taught me to be true to myself and be proud of who I am,” says Lily, a participant who is in seventh grade. Each Heart & Sole team will meet two times a week for 90 minute practices that will take place either before or after school. The program fee for the fall 2016 season is $175, and scholarship funding is available to those who qualify. The program fee includes registration for the end-of-season 5k event, a shirt, water bottle, and healthy snacks. More information about the program and registration can be found on the Girls on the Run Southern Utah’s website at www.gotrsouthernutah.org. Girls on the Run is a national physical activity-based positive youth development program for 3rd-8th grade girls. Participants develop and improve competence, feel confidence in who they are, develop strength of character, respond to others and oneself with care, create positive connections with peers and adults and make a meaningful contribution to community and society. Each session is led by trained volunteer coaches who guide and mentor the girls. The ten-week program concludes with all participants completing a celebratory 5k event which gives them a tangible sense of achievement as well as a framework for setting and achieving life goals. Girls on the Run has served over 1.2 million girls since its inception in 1996.